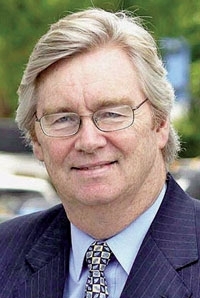 Reilly: Long-serving GM executive will move to Asia. LONDON -- Former General Motors Europe President Nick Reilly will move to Asia as an adviser following his retirement from GM next month. "A couple of companies have asked me to sit on their board, in particular companies who want to expand in Asia," Reilly told Automotive News Europe. Reilly, 61, was a top GM official in Asia for many years before being recalled to Europe to run Opel/Vauxhall when GM decided not to sell Opel/Vauxhall after the U.S. parent emerged from bankruptcy. Earlier, Reilly had led the turnaround of the former Daewoo Motors in Korea, which GM bought in 2001. He was promoted to president of GM Asia Pacific, then head GM International Operations, based in Shanghai. Reilly led GM Europe's restructuring from 2009 until January when Opel CEO Karl-Friedrich Strack took over as GM Europe president. Reilly, a Welshman, began his career with GM in 1975 when he joined the former Detroit Diesel Allison Division in England. He worked in various roles including a stint as head of Vauxhall and GM Europe's sales and marketing boss. Talking to ANE at an industry event last week, Reilly said the toughest moment of his career was ending car production at Vauxhall's Luton, UK, factory in 2000. He faced the same decision again in 2010 when presided over the closure of Opel's factory in Antwerp, Belgium, under a restructuring that cut 5,800 jobs and a fifth of GM's capacity in Europe. Reilly retires from GM on March. He said he will base himself in Malaysia. He did not give any more details of his future plans, but said he will not be joining Malaysian automaker Proton.